After we have welcomed us with a drink and a chat, you can lie to our pool and enjoy the start of your holiday at one of our many terraces. 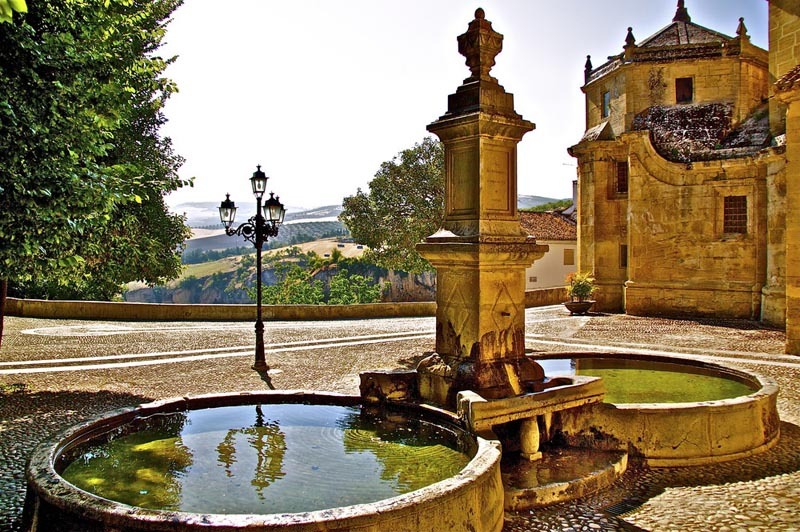 Depending on the time of your arrival you would have a little trip to plan to Comares. This beautiful white village you will see on the opposite hill and gives because of this location a wonderful view over the region. The ceramic feet that you will lead on the village square through the narrow streets along the most beautiful spots of the village. 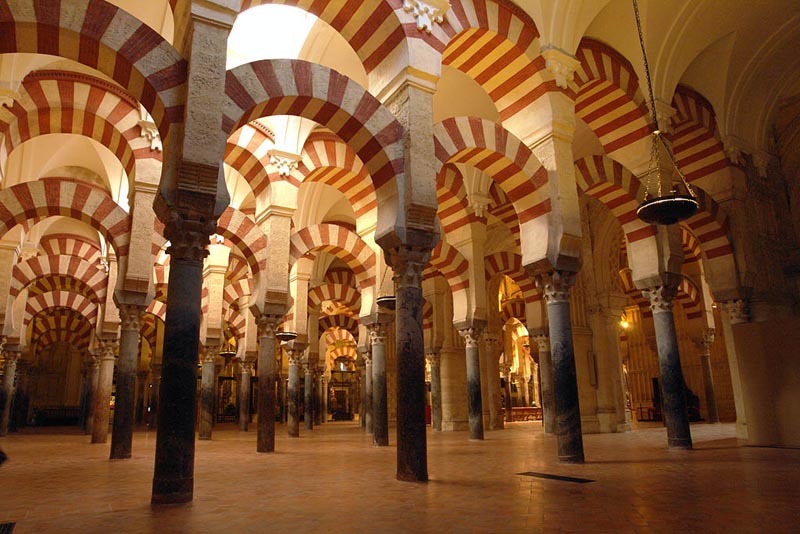 Who says Córdoba says Mezquita. This mosque-cathedral is a beautiful combination of Islamic art and architecture Catholic. 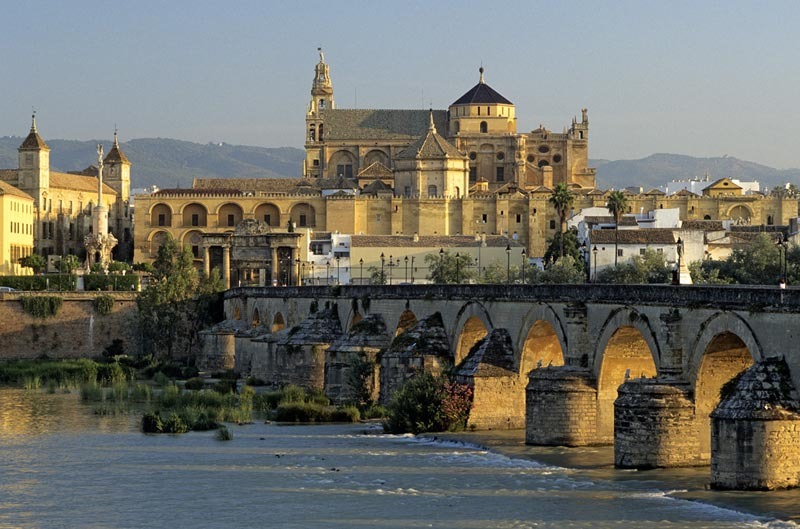 But Cordova has much more to offer: the Roman bridge over the Guadalquivir, the Judería (old Jewish Quarter) with synagogue, El Zoco (former Moorish handicraft fair), the famous flower street "Callejon de las Flores and the Alcázar de los Reyes Cristianos (Christian palace). 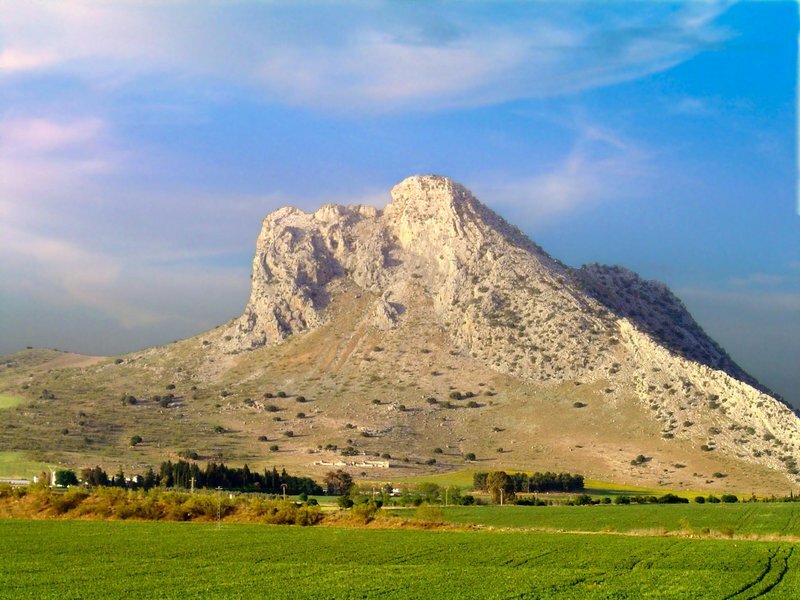 Before you Antequera entering you pass a famous phenomenon: the Peña de los Enamorados (Mountain of the Beloved), also known as the "Sleeping Giant" in the vernacular. Antequera is known as one of the oldest Spanish cities with many churches, including the recently restored 16th-century Iglesia del Carmen. One of the landmarks of the town is a Moorish castle which towers over the city on an overhanging rock. The accompanying church, now a museum, is well worth it and the view from the square. 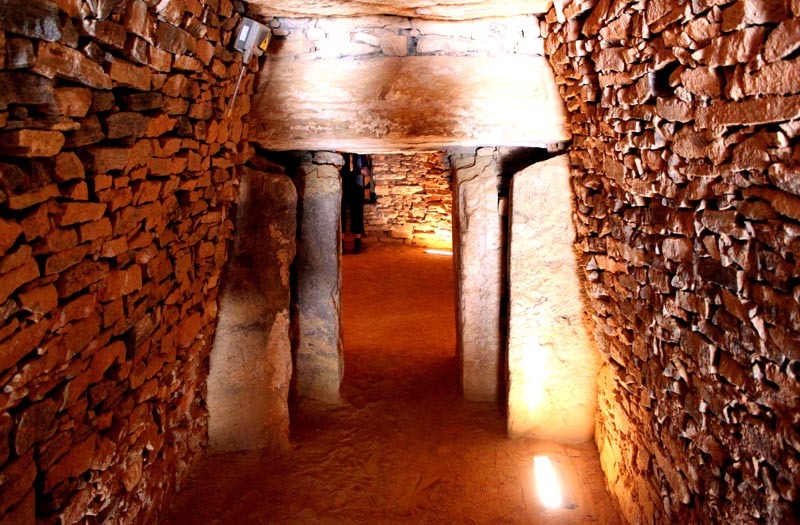 Just outside the city you will find the Dolmen Antequera, three prehistoric tombs more than 4,000 years old (Dolmen de Menga, Viera Dolmen and Dolmen de El Romeral). 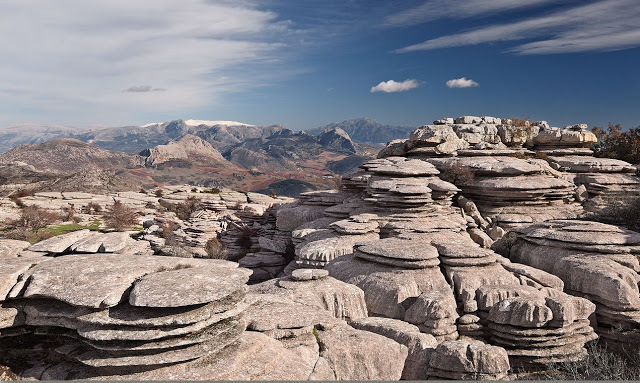 Just south of Antequera is one of the most beautiful places of Andalusia: the nature park El Torcal. Here, water, wind and rain over millions of years an impressive landscape of jagged rocks carved, which is very appealing to the imagination. Some time on that day, then you might be a little further drive to the Laguna de Fuente de Piedra. 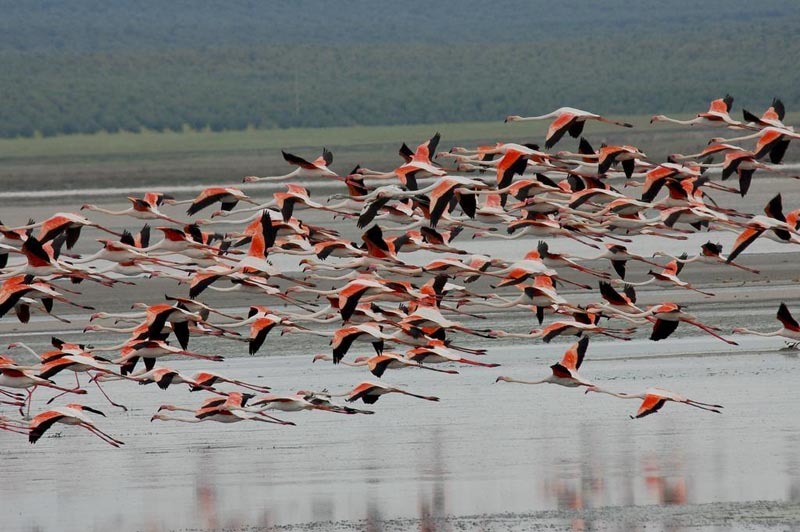 This is the largest salt lake in Andalusia where hundreds of pink flamingos (and numerous other migratory birds) come breed and overwinter. It is a paradise for bird and nature lovers. 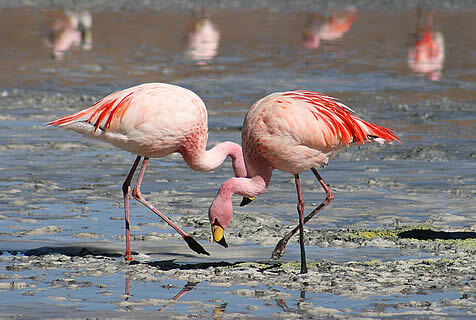 The number of flamingos that nest here varies from year to year, depending on the water level. 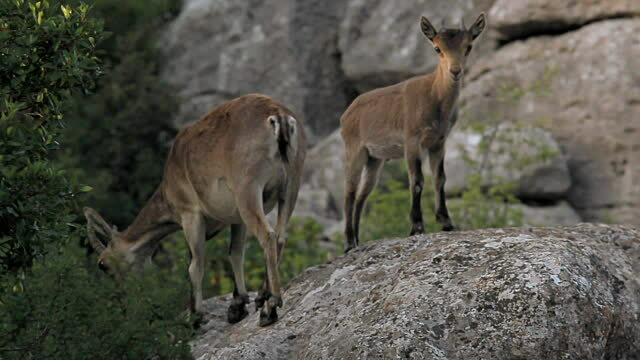 They are watching the March (start of the mating season) until about August. Then they leave with their boy back to cooler climes. 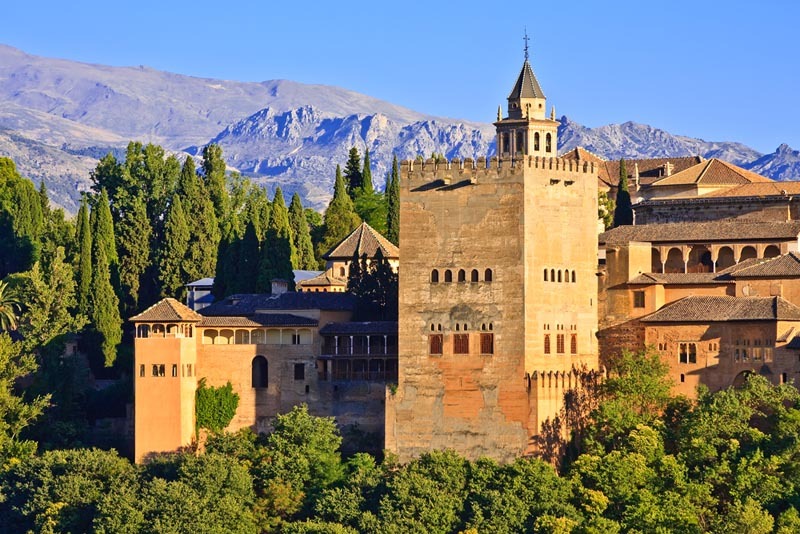 This Moorish palace and fortress on the hill in Granada is a must to visit. 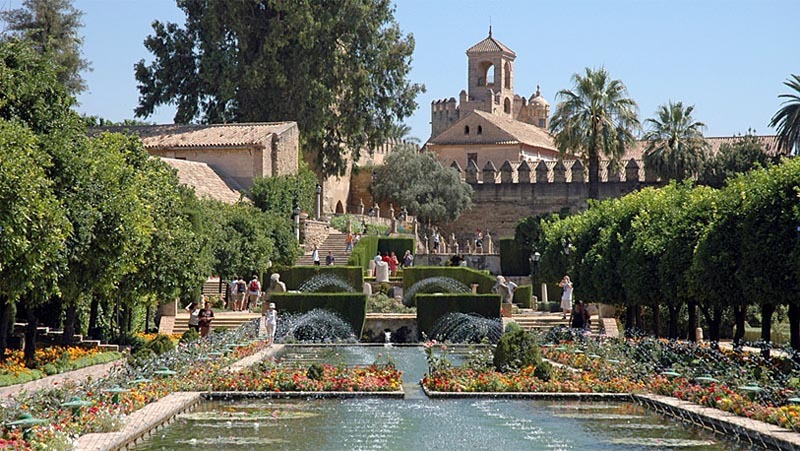 No monument in Spain has exerted such an attraction over the centuries by travelers and historians. 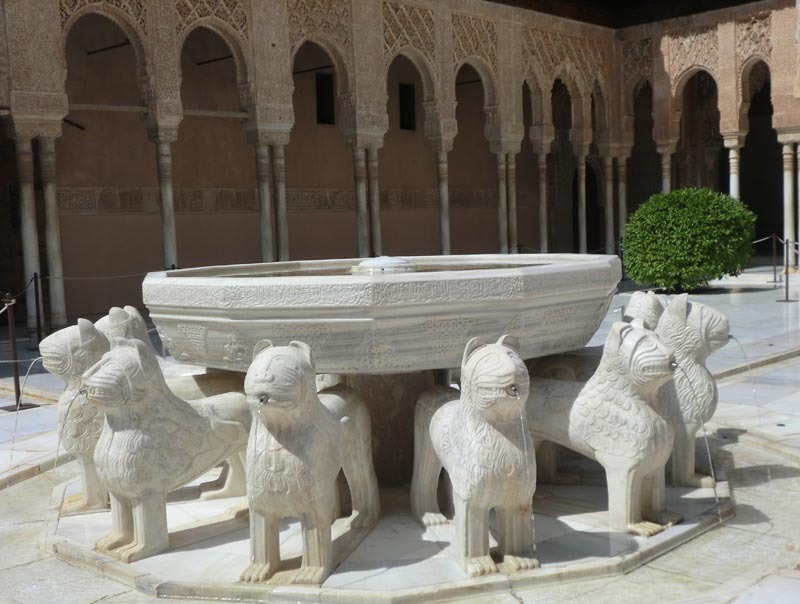 It is the best preserved medieval Arabic palace complex in the world. Tickets for this reserve best in advance via the Ticketmaster website otherwise the chances are you will miss this wonder of the world. 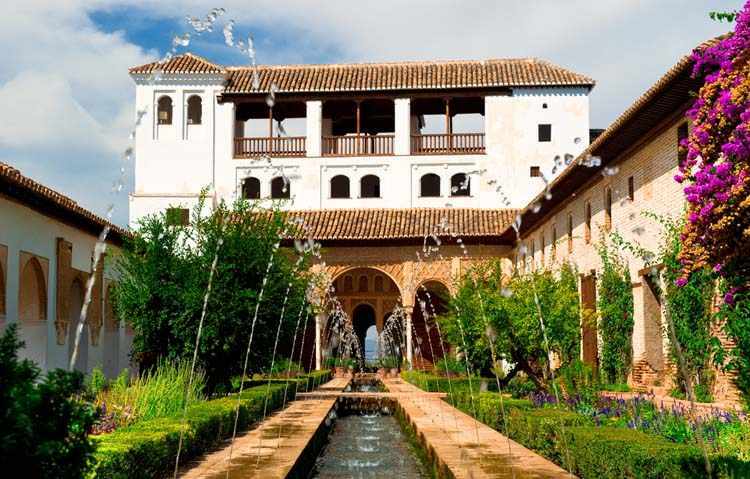 After your visit to this impressive piece of history you can descend to the old town and the Albaicín, the old Moorish quarter, a maze of streets, shops, squares, terraces and tapas bars. 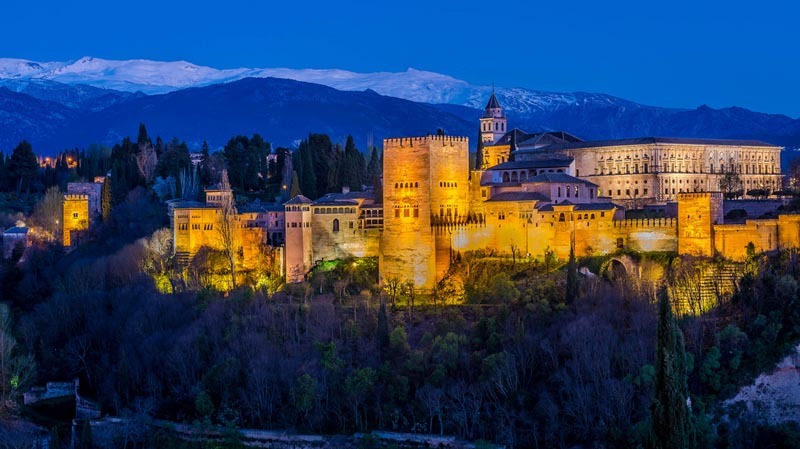 And from the Plaza de San Nicolás you have a wonderful view of the Alhambra and the snowy peaks of the Sierra Nevada. 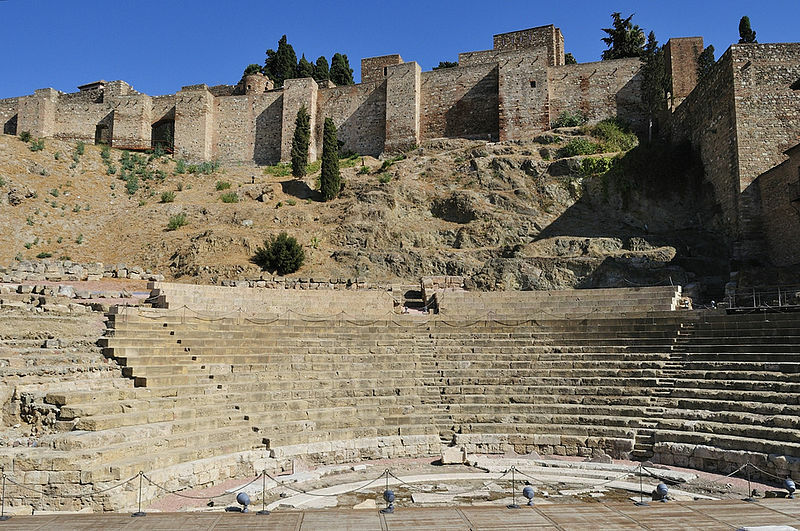 Although the attractions in this city are not so much name and fame are known as the highlights in other cities of Andalusia Malaga you can not actually skip during your vacation. 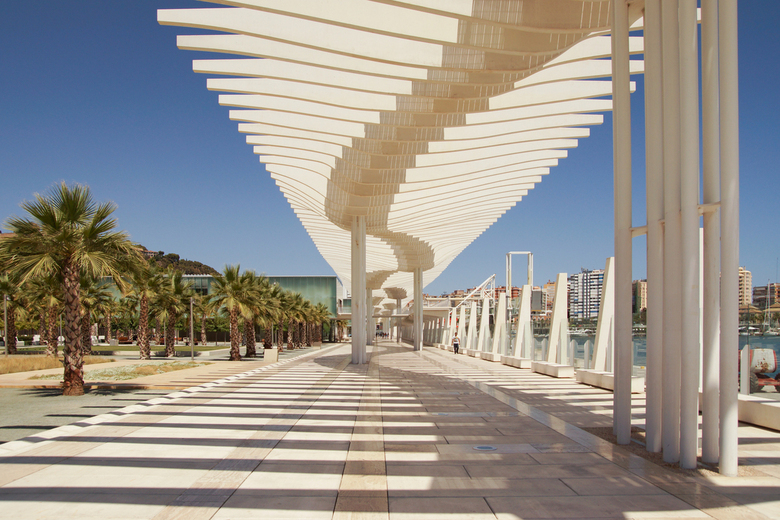 The city in recent years has undergone a massive transformation and is not for nothing called "The Barcelona of the south. It is a charming and well-organized city that you can easily explore on foot or by bike. 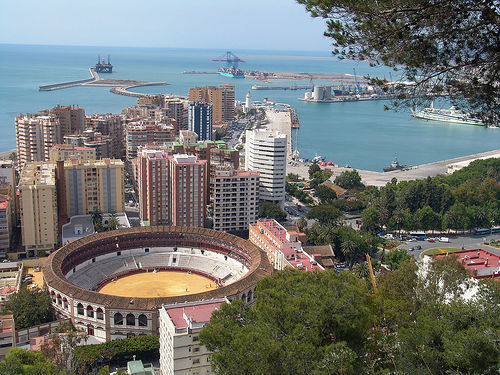 The city offers a range of diversity including Picasso's birthplace and the Picasso Museum, the cathedral, the new port with a contemporary shopping promenade 'MuelleUno', the charming town La Malagueta Beach, a city park with tropical plants, the Alcazaba (Old Castle) , the Roman theater and much more. Climb sure to go to the Gibralfaro. It is quite an effort but you have a breathtaking view of the city and the Plaza de Toros here (Bullring). On a clear day you can even see Morocco. 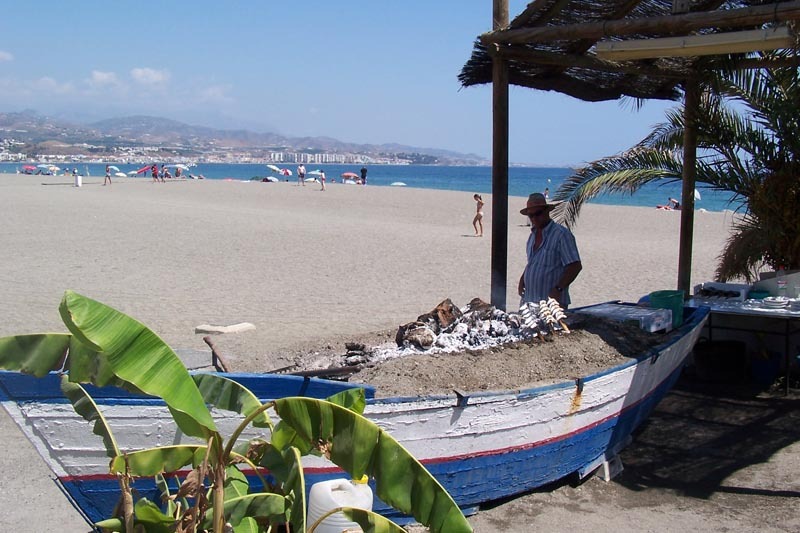 Do you like a day at the beach then the resort of Torre del Mar nice. Many attractions, this old fishing village not to offer but it is nice stay at the beach and quite cozy on the boulevard. During the summer holidays we have here in the evening market stalls and the market in the center on Thursday morning is busy and cozy. 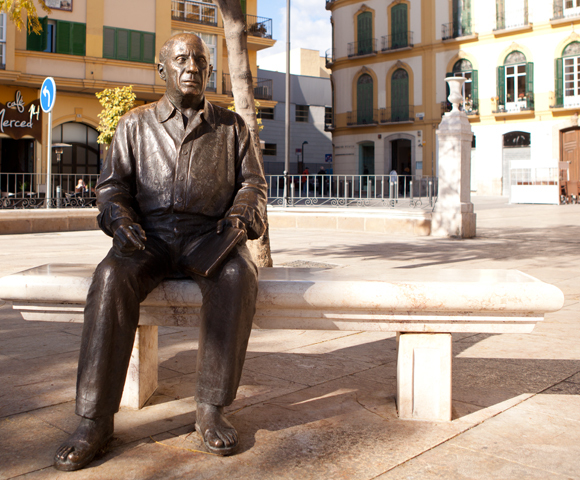 If you do want to attract the coast but did not really go to the beach, you can go to Nerja. This is a pleasant town situated on a rocky plateau above the sea. Beautiful viewing point 'Balcon de Europa' and the narrow streets in the historic center of Nerja create picturesque and attractive. Nerja is also famous for its stalactite caves, the "Cuevas de Nerja" which you can visit on your own. 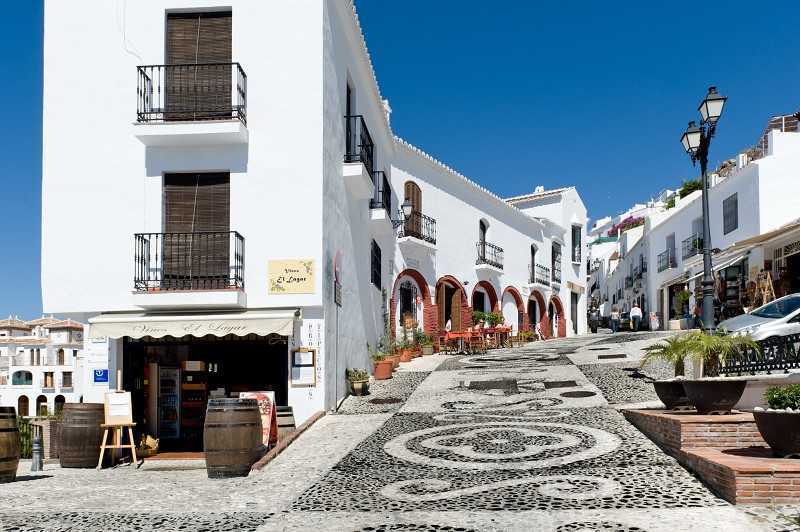 Slightly more inland is one of the prettiest villages in Andalusia, Frigiliana, with whitewashed houses and winding streets. Near our B & B starts the Ruta del Rio (road along the river). 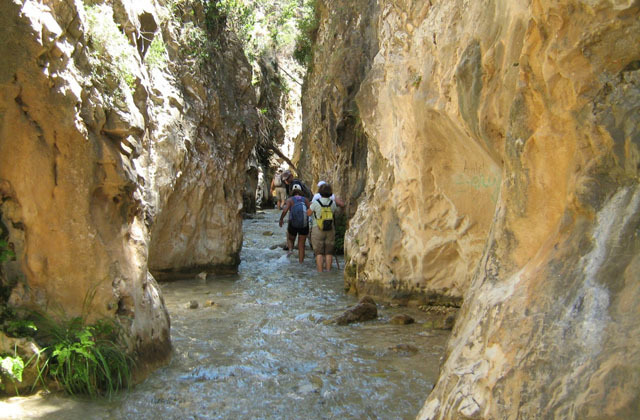 You will follow the Rio de la Cueva to our village of Riogordo. 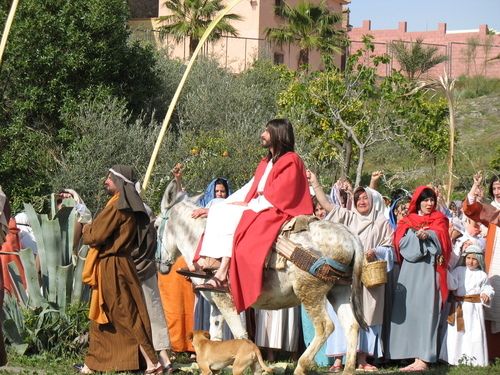 The village enjoys fame mostly because of the Passion plays that are staged around Easter each year, El Paso Riogordo. About the whole village does directly or indirectly participate in this outdoor spectacle that depicts the life and suffering of Christ. Ruta del Rio Chillar (near Nerja). This walk by the river is ideal in the summer (and fun to do with children) when temperatures run high and the water is wonderfully refreshing. 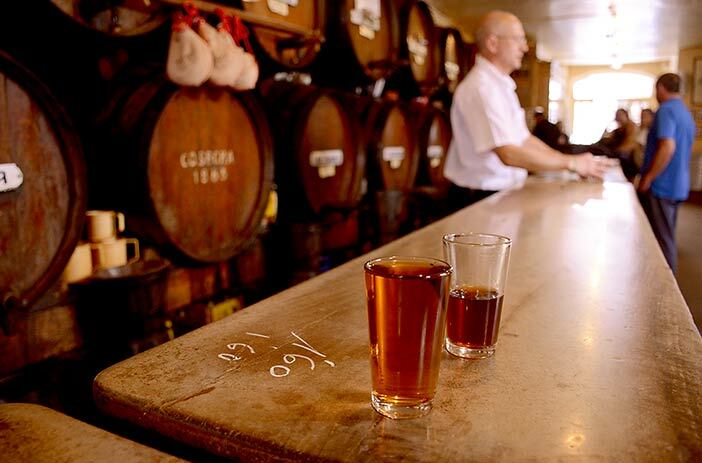 Whether you take a visit to Alhama de Granada. 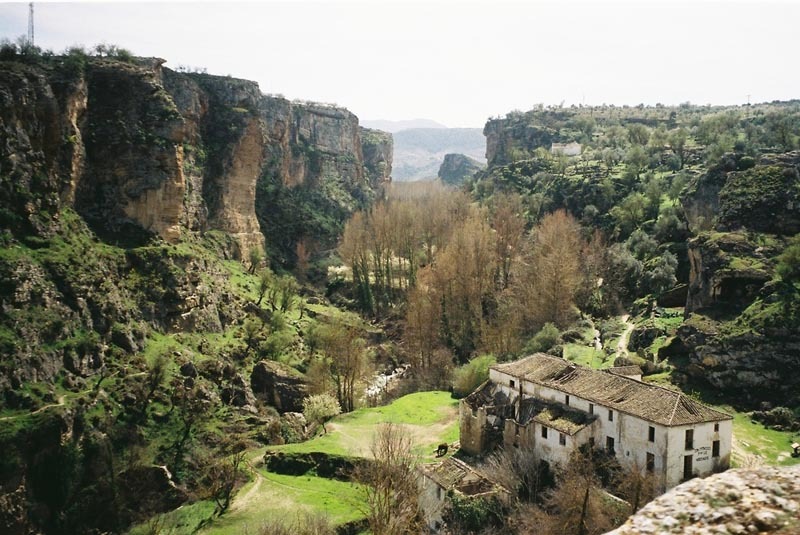 This village is situated on the edge of an abyss where it is also beautiful walks in the vast Andalusian countryside. In our B & B we also have several walking guides with accompanying staff tickets. Provides both beginners and the more advanced hiker sure his liking. 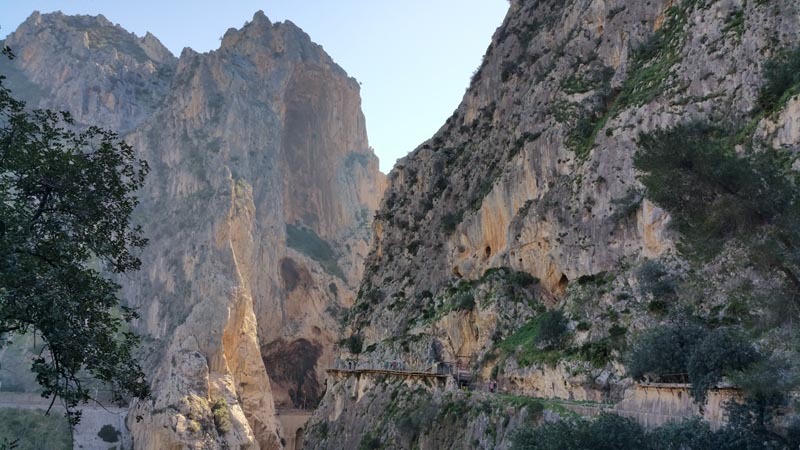 March 28, 2015 it was finally so far: called the opening to the public of the restored 'Caminito del Rey', or 'King's'. 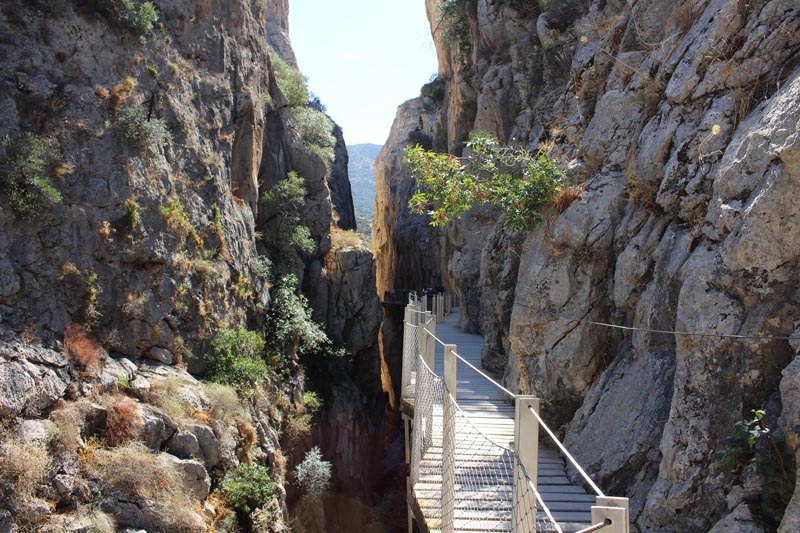 The narrow walkway winds along the El Chorro gorge, a fantastic place with huge rock walls up to 400 meters high. The caminito already exists from the beginning of 1900 but was officially closed over the years into disrepair and was in 2000 after several people were killed. In the autumn of 2013 began the restoration of the "most dangerous path in the world." Under the newly built path you can still see the old walkway with lesions showing when the enormous risks. 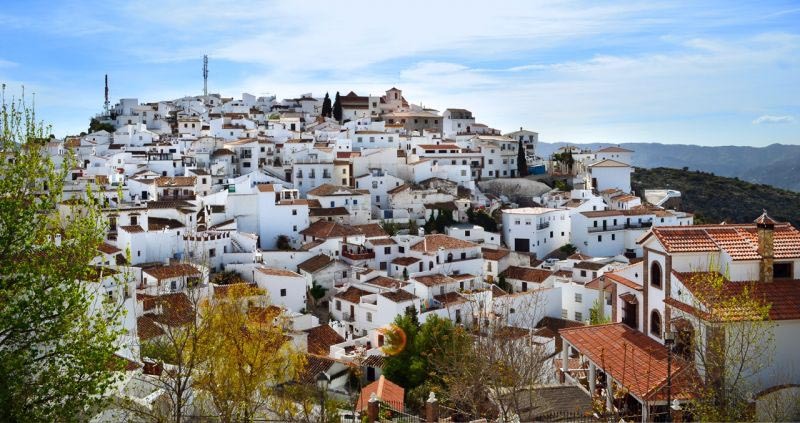 The Caminito meanwhile already received the award for touristic figurehead "and has undoubtedly become one of the biggest attractions of Andalusia. Yes, maybe even the whole of Spain. Book your tickets quite in advance through the official website of the Caminito del Rey. Unfortunately, the holiday is over. 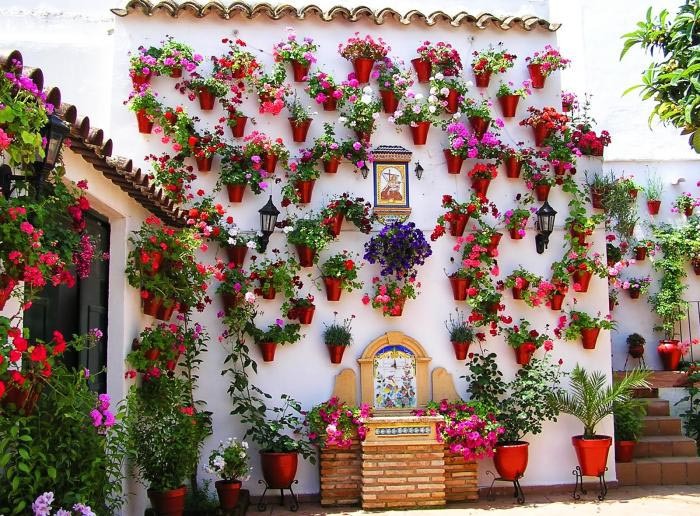 Hopefully you had a nice time in the beautiful Andalusia and you think long back with pleasure on your stay with us.